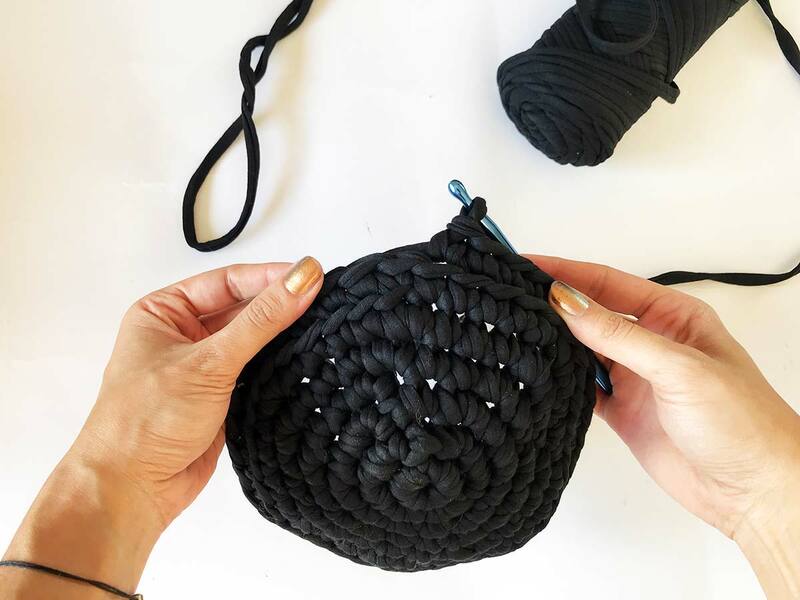 Tiam Safari is a London-based yarn hoarder, cat lover, and general knitting and crochet enthusiast, who started her Instagram, @knitsafari, in 2014 as a way to relax after a stressful day at the office. 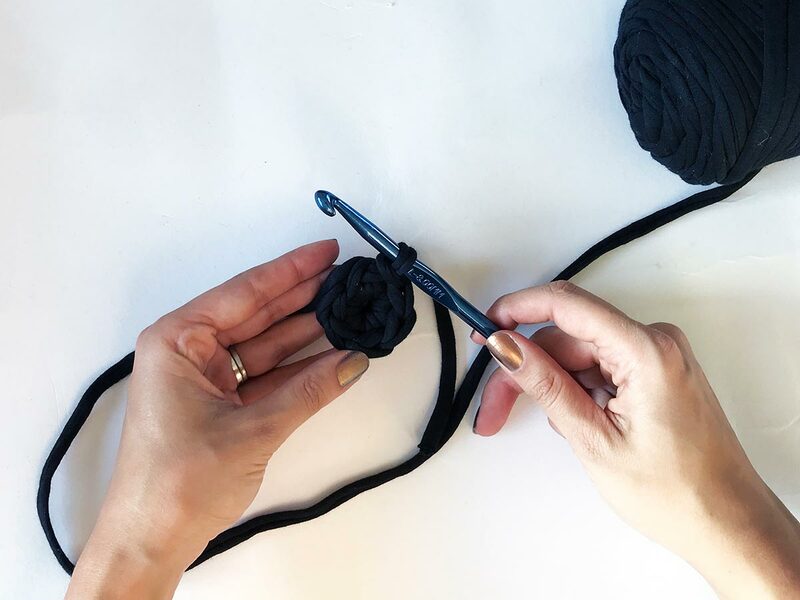 Tiam has created designs for many yarn companies, including LoveKnitting.com, KnitPicks, Cygnet Yarns and Wool and the Gang, has knitted pieces for The Oprah Winfrey Show and London Fashion week, and has been featured online by Vogue Australia and Elle Belgium. 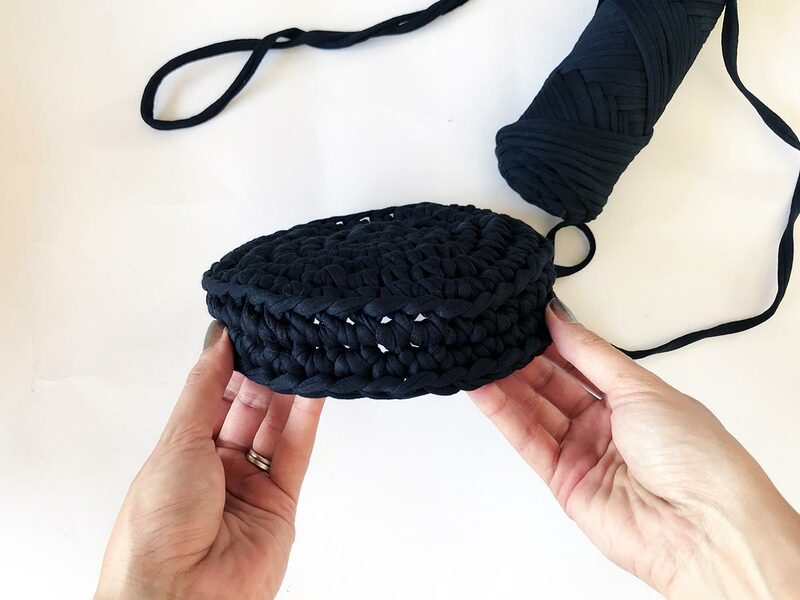 I always get a thrill out of being able to create my own clothes and accessories, because the joy is two-fold: first, when I'm crafting and creating my piece, and second, when I'm wearing it and getting compliments and get the chance to tell someone all about my passion for yarn crafts and making. 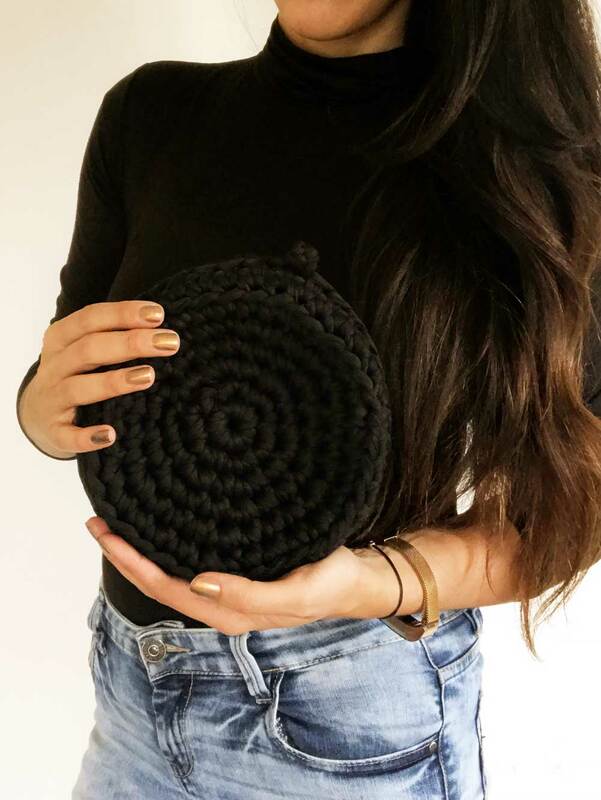 This little bubble clutch is no exception, and I'm so excited to be able to share it with you! 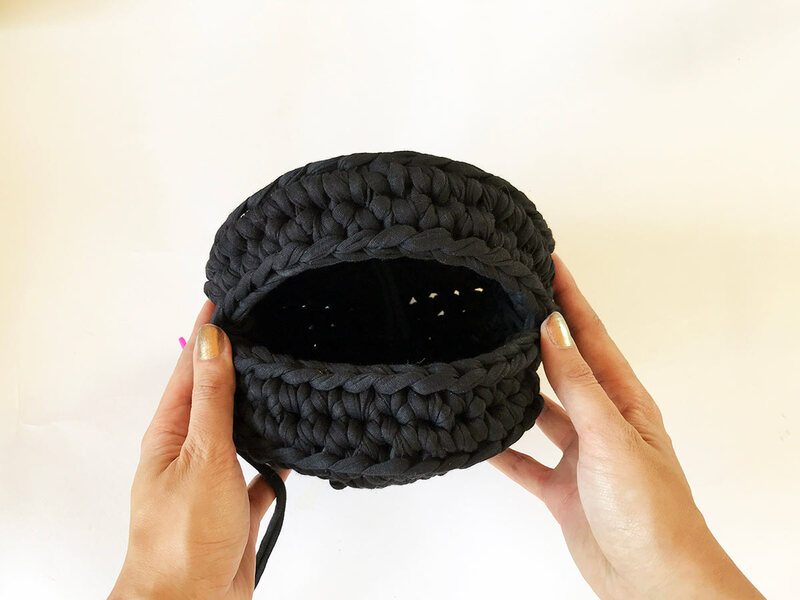 The pattern is super simple and will have you creating a cute purse in no time, and is perfect for beginners or advanced crocheters alike! Step 7. Work 2 SC in the first Ch Sp, 1 SC in the next three Ch Sp; repeat from * to the end of the round. Join the round with a Sl St. (30 sts). Step 9. Ch 1, then work 1 SC in each Ch Sp. 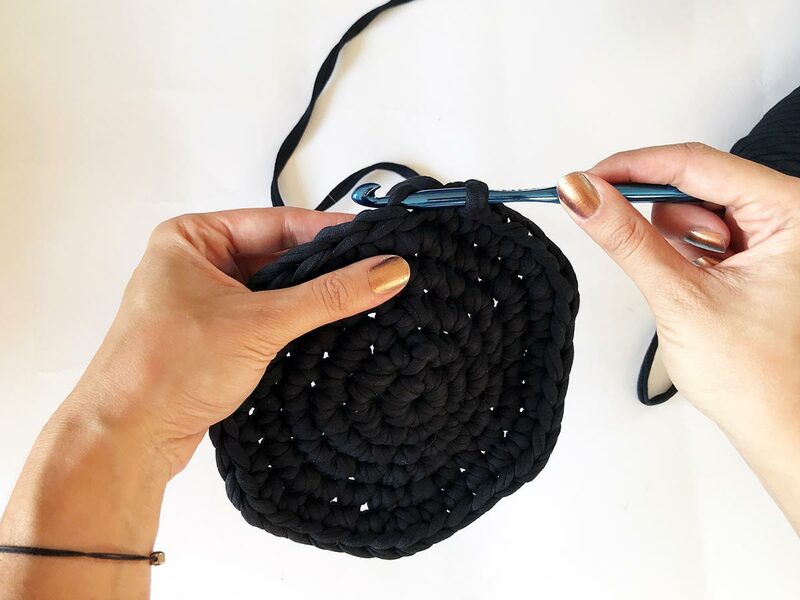 Join the round with a Sl St. Cut the yarn, leaving a 6" yarn tail. Repeat Steps 1-9, to make the other half of the bag. 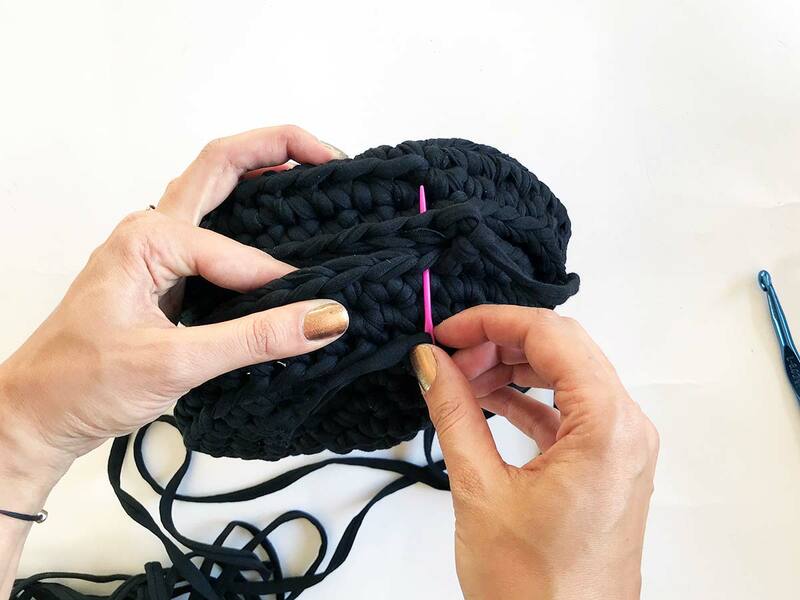 Place the two halves of the bag together, and thread the yarn tail onto your sewing needle. Seam the bag, leaving a 6" opening. Weave in all ends. 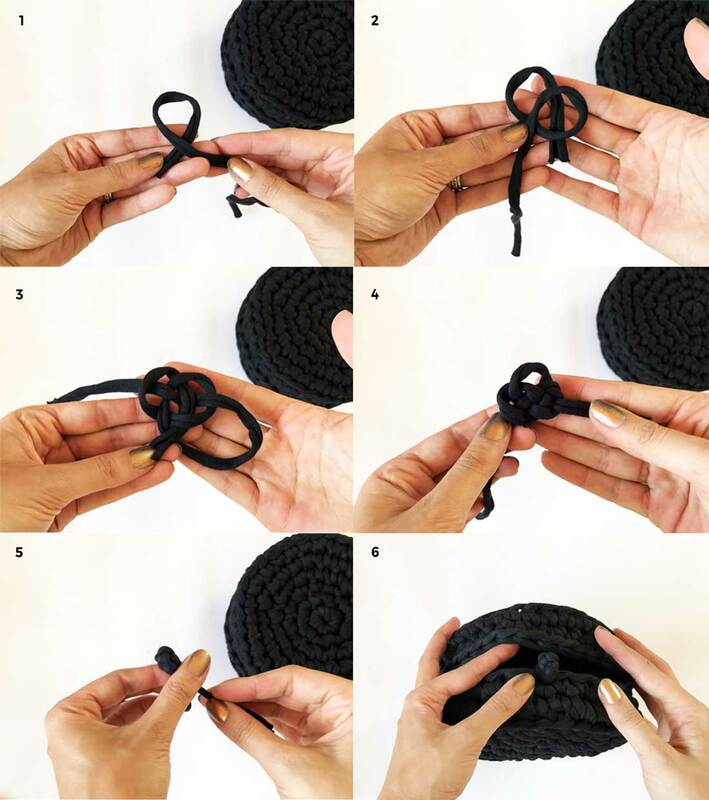 Make a Chinese Knot button (this is quite tricky to describe in words, so just follow the step by step pictures! ), and sew this to the center of the bag opening. 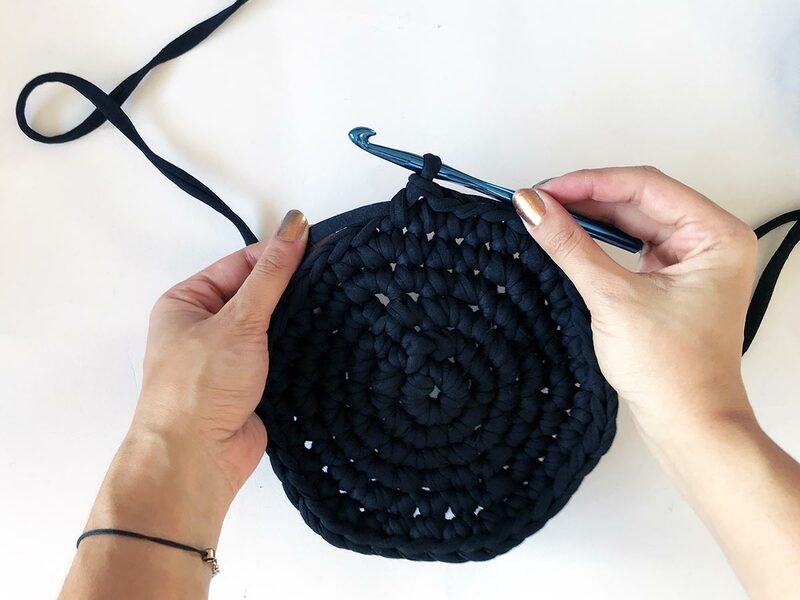 To close the bag, pop the button through the crochet edging on the other side of the bag. And that's it, your Bubble Clutch is finished!! 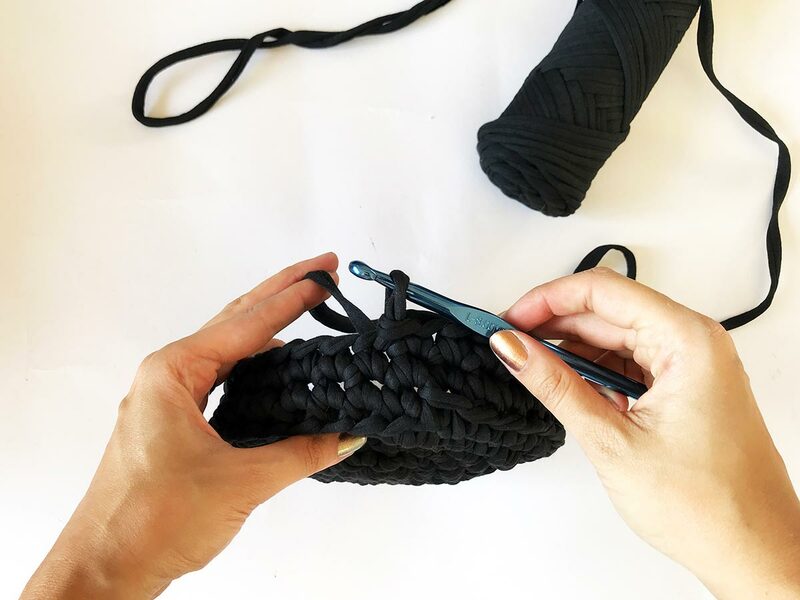 Want to turn your bubble clutch into a bag and make a strap? 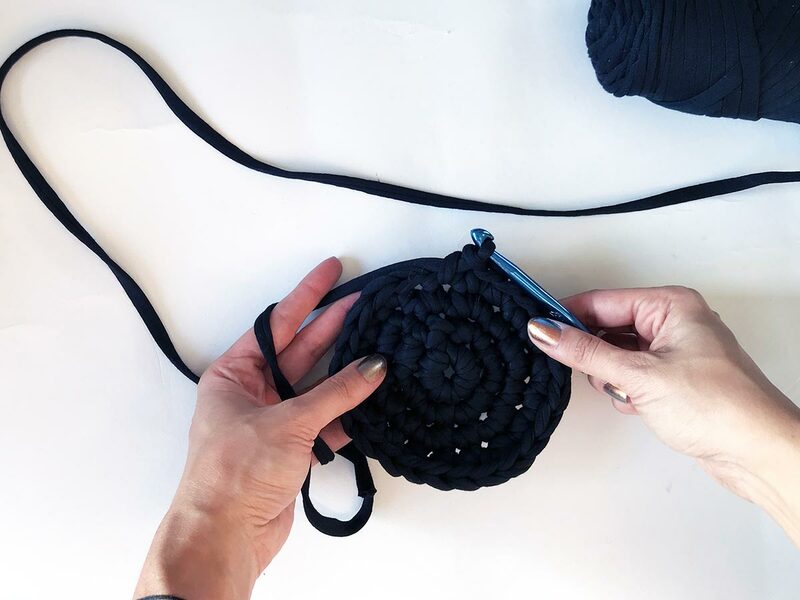 Try crocheting a chain as long as you want your strap, holding the yarn double, and attach it to each side of the bag. Or, you could weave some of the jersey through a gold chain, for a luxe-inspired look! 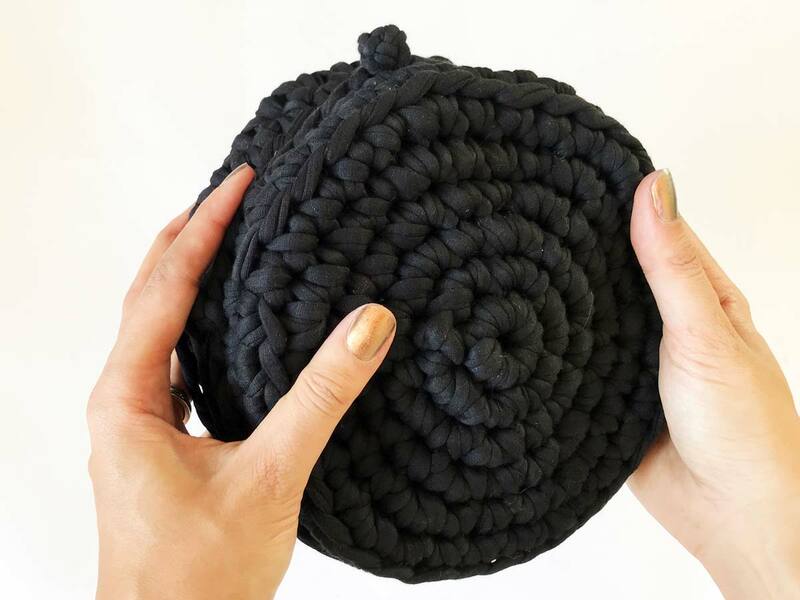 Or, try jazzing up your bubble clutch with tassels or pompoms, or mixing up colors. The sky is the limit! 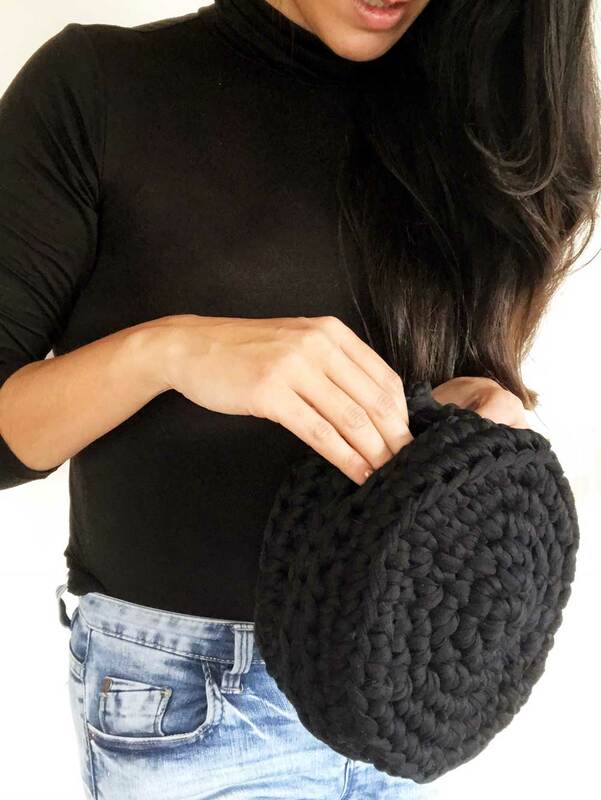 I'd love to see how you dress up your clutch! I'm all about strong shapes and silhouettes, so I left my bubble clutch plain and just tuck it under my arm on a night out. The sturdy shape is big enough to keep my phone, wallet, keys and lipstick, but small enough to let me dance the night away!